Being new parents can wear you out quickly. You wake up at odd hours. Don’t get enough sleep. And baby always seems to need you for something. So how about something to perk you up? An energy drink perhaps? But before chugging down that small can, you’ll want to know is drinking energy drinks while breastfeeding safe for you and your child? Energy drinks are a great way of waking yourself up. They let you focus better and give you more energy. These are some things every tired new mom needs. Is Drinking Energy Drinks While Breastfeeding Safe? Any new mother knows that having a newborn is a quite tiring experience. It is easy to become overwhelmed. And because of the circumstances, you’re sometimes willing to do anything for a quick pick me up of energy. However, if you are breastfeeding, you have to be conscious of everything that you eat and drink. Breastfeeding moms need to be cautious about consuming energy drinks and the effect that it could have on their baby. Breast milk passes nutrients as well as other content to your baby. So every mother should be conscious of what they’re eating. And more importantly, know what foods to avoid. This is why eating and drinking the correct food and drinks is important. For example, some babies are allergic to milk, nuts or shellfish. Eating any of these foods then nursing later on has been shown to result in allergy symptoms in the little one. You’ll often see them experience rashes, swelling, changes in their stool, spitting or even vomiting. Alcohol is also passed through breast milk. So nursing mothers should be aware not to drink. Or, if they do, make sure to wait at least 2 hours per drink you’ve had before breastfeeding. This way the body has already had a chance to metabolize the alcohol. 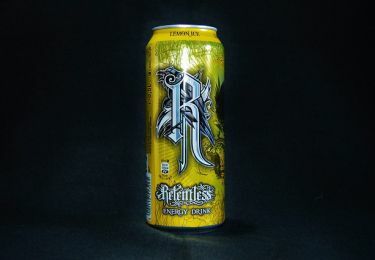 The American Academy of Pediatrics recommends that pregnant women and breastfeeding mothers should avoid energy drinks. They recommend that children below adolescence should not drink caffeinated drinks on a regular basis. When you are breastfeeding, what you drink, your baby drinks. But the question is exactly how much passes through to the breastmilk. 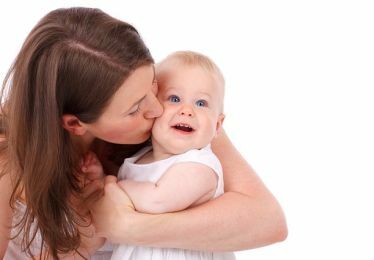 Pediatricians recommend that nursing mothers limited themselves to 300 mg or less of caffeine per day. This equals about two of the most popular energy drinks, or one 6 oz. cup of coffee. It is important to read the labels of each brand that you choose to make sure that you know how much caffeine is being consumed. 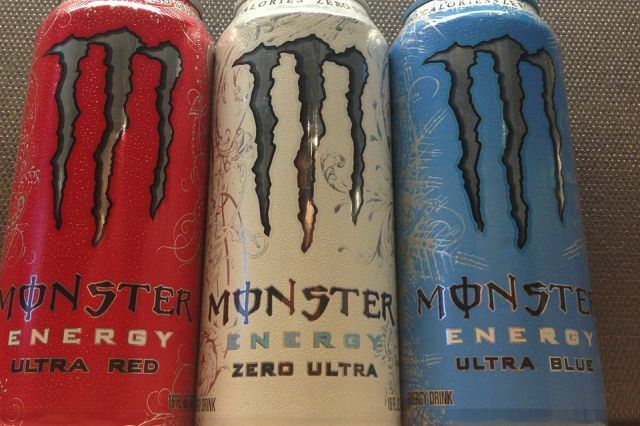 Note that different brands of energy drinks carry different amounts of caffeine. The same goes for coffee. While some caffeine consumption in moderation is acceptable, some babies are sensitive to caffeine. When you consume excess caffeine, it has the potential to make some babies irritable and fussy. This makes drinking coffee or energy drinks counterproductive. If you are a young mother who is trying to get some sleep. Consuming energy drinks to wake up could cause you more problems in the long run. It may result in staying up all night due to an irritable, fussy baby. That’s definitely no fun at all. Babies do not have the capacity to process caffeine the way adults do. Caffeine intake in babies takes about four days to be reduced to half. This means that if you consume caffeine on a regular basis, due to the fact that your baby does not process it as quickly as you, caffeine in your baby could build up to unacceptable levels. The same goes for vitamin B6. Many energy drinks have added B6 and it is possible to consume too much, which could cause neurological symptoms in the baby. Caffeine is not the only problem with energy drinks. Some energy drinks contain herbs such as ginseng, ginkgo biloba, and guarana which are not recommended for babies. Many of these herbs readily pass through the breastmilk to your baby. Some energy drinks contain artificial sweeteners, which have been known to cause a number of health concerns. Some contain creatine, which can harm the liver. Some contain ephedrine, which is a central nervous system stimulant found in many weight loss products. The list of similar ingredients continues well beyond the most common ones. As with caffeine, the ingredients present in different energy drinks can vary significantly. And how much of each they put in each bottle can likewise differ a lot. 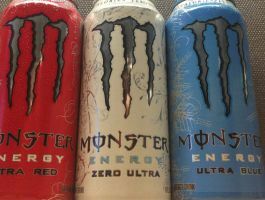 Finally, energy drinks have been associated with harmful effects in adults such as high blood pressure, heart arrhythmias, neurological problems, and miscarriage in pregnant women. The best advice is to try to manage daily energy levels using proper diet and nutrition, exercise, and of course trying to get a proper night’s sleep rather than by consuming energy drinks. While energy drinks may look like a quick remedy to fatigue, they’re not advisable for nursing mothers. Breast milk passes what you eat and drink to your child. And the contents of energy drinks are far from being safe for young children, much less newborns. Our recommendation is to skip energy drinks altogether when breastfeeding.